PayPal Plus for J2Store Joomla eCommerce solution uses PayPal's REST API to provide a PayPal-hosted checkout experience directly on your website. This provides the opportunity for the buyer to credit card data directly into your website without redirecting to PayPal in order to process a payment, and it also provides the PayPal option within the same checkout flow for the users who pay so. 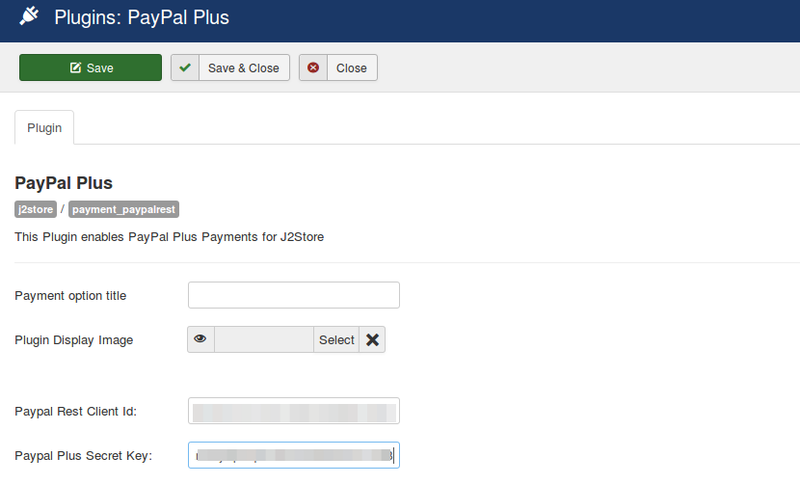 Download Paypal plus payment plugin from our site and install it using Joomla installer. 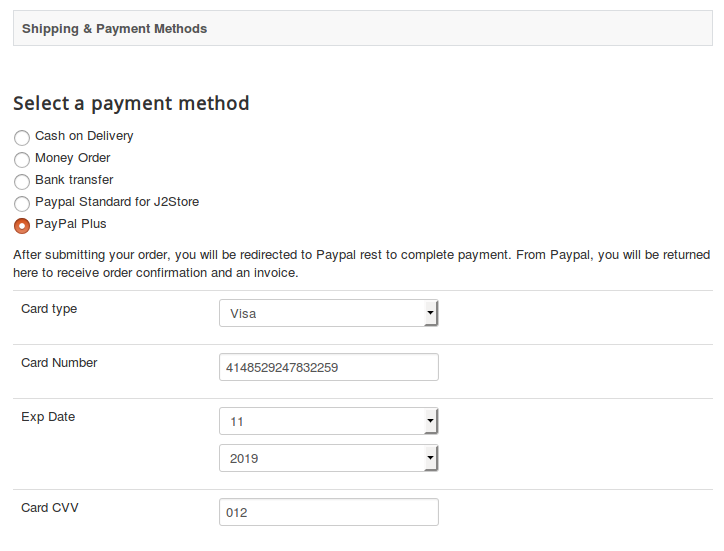 After installing the plugin, go to J2Store > Setup > Payment methods and enable the PayPal Plus plugin. How to identify your Client ID and Secret key? Go to https://developer.paypal.com/ and login. After logging in, click Dashboard on top right of that page. 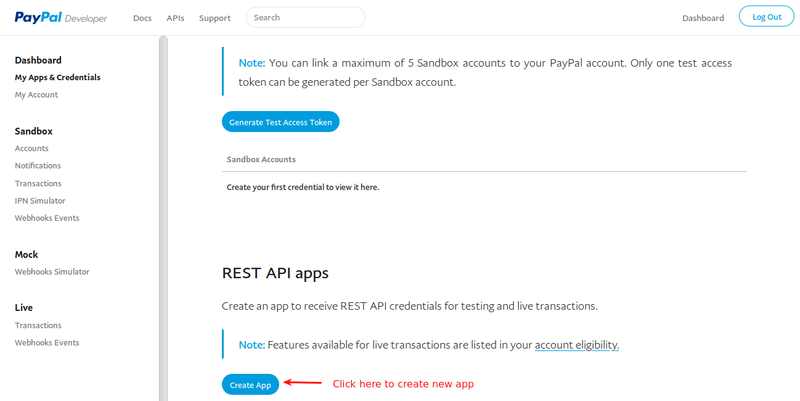 Under the REST API apps section, you will have to create an app to receive REST API Credentials. Click on Create App button to create a new app. After creating an app, it will be listed below. 7. On clicking app name, it will show your Client ID and Secret key. Enter a title for this payment option. The value entered here will displayed at checkout payment step. 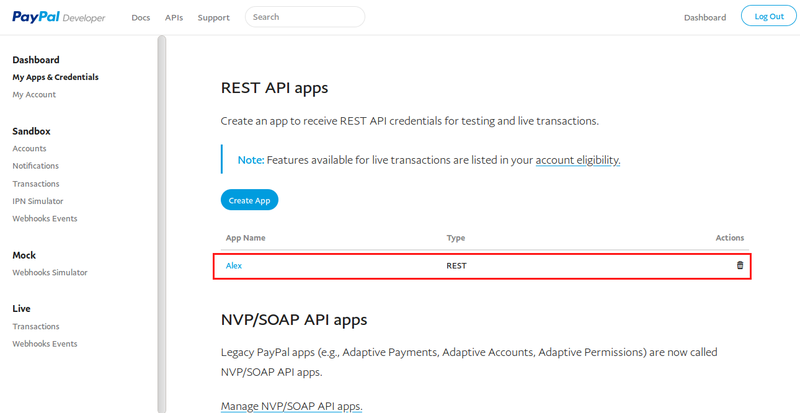 Enter the Paypal Rest API client ID associated with your Paypal account. Enter the Paypal plus secret key associated with your Paypal account. 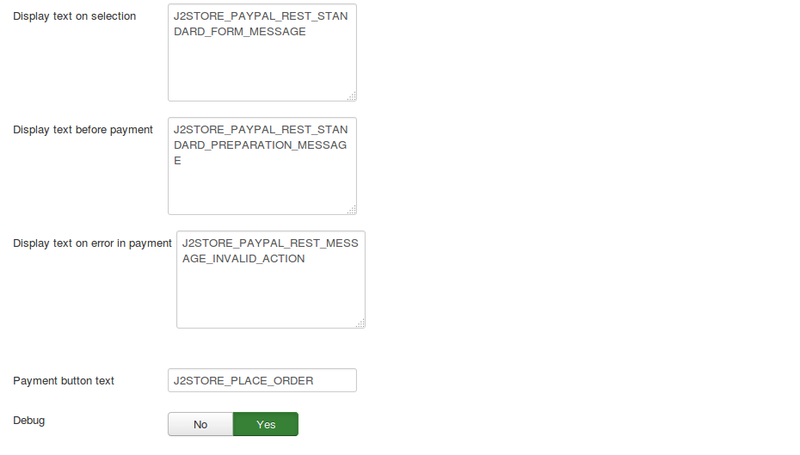 Before going live, you can test your store using the paypal's sandox feature. Choose YES to enable sandbox mode. 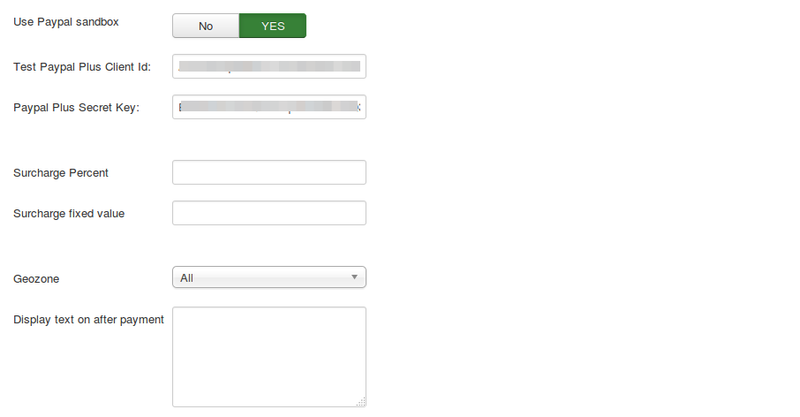 Enter Paypal Plus client ID associated with your paypal's sandbox account. Enter Paypal Plus secret key associated with your paypal's sandbox account. NOTE: DO NOT enter any symbol like % here.Leave empty if you dont want to charge. The text entered here will be displayed to the customer after he makes the payment. You can enter a language constant as a value here if you are using a multi-lingual site and then write a language override. Use below test card details for testing purposes.